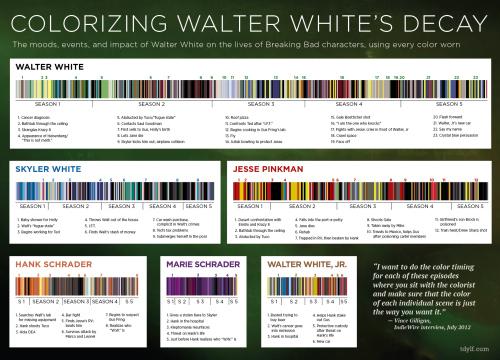 Infographic: Colorizing Walter White’s Decay. Fascinating post about the costume colours of the main characters of Breaking Bad throughout the show’s multiseason run. Worth following this blog – tdylf.com – “the droid you’re looking for” – if you are a nerdy film fan.